Owning an investment fund is the easiest and most convenient way for investors to put their money to work in the world's financial markets. Yet only a handful of people really seem to understand how to make the most of the opportunity that funds offer. Too many pick the wrong fund in the wrong market at the wrong time - a sure-fire recipe for disappointment. In this important new book, an award-winning manager at one of the UK's best fund management firms explains in simple language what it takes to buy and sell investment funds successfully - and how to avoid the common mistakes that so often condemn fund investors to poor results. John Chatfeild-Roberts, head of the fund of funds team at Jupiter Asset Management, is responsible for sifting through the thousands of funds that are open to UK investors and hand-picking the best 10 - 15 for his clients' portfolios. The Jupiter Merlin range of funds has won a string of industry awards for their consistent performance. Now, in Fundology - The Secrets of Successful Fund Investing, he explains in detail how to set about becoming an expert fund investor - what to do and (just as importantly) what not to do. While he concentrates on unit trusts and open-ended investment companies (OEICs), his specialist area, many of the principles outlined here apply equally well to other types of fund. Easy to read and outspoken in places, Fundology is a must read for anyone interested in knowing how to get the most out of their investments. Knowing how the experts go about choosing funds can only increase your chances of improving your own success rate. 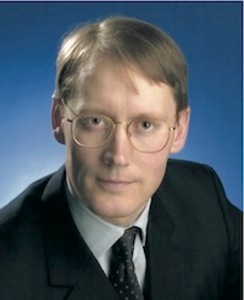 John Chatfeild-Roberts (43) has been analysing and investing in funds professionally for 14 years. He and his team manage the Jupiter Merlin range of funds of funds, for which they have been voted Best Multi-Manager Group of the Year for an unprecedented 3 years in a row - 2003, 2004 and 2005. After graduating from Durham University in Economics, his early career was spent serving in the Army both in the UK and abroad. Before moving to Jupiter, he ran similar operations for Lazard Asset Management and Henderson Administration in the 1990s. He is married to Doone. They have two children, Tom (12) and Harry (10), and live in Stilton Cheese country. John spends his spare time with the family walking and riding in the countryside, and in the summer, playing cricket.